Just wondering why it’s scheduled for the week prior to the 4th of July? We look forward to hometown fireworks on the 4th every year. Hi Mary Lou, Sorry to disappoint, but we hope you’ll still come out to support the Carnival and Rotary. 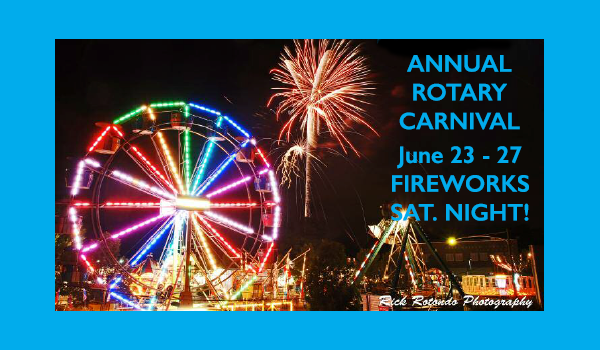 It has more to do with food and carnival vendors than anything else and allowing our Rotary volunteers to be with their families on the 4th. The carnival in its 9 year history has always been held the 4th week of June. I believe 2011 is the closest we ever got to 4th of July fireworks when it ended on July 2. I believe Upper Dublin has fireworks around the 4th, if you’re looking for them and Wyndmoor Hose Co. will have them after their carnival the week of June 9, I believe. So hope to see you out under the stars on June 27th enjoying the show and the carnival. 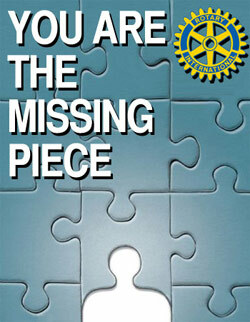 Thanks for your support of Rotary and our Carnival. I’ve been bringing my kids to this carnival every year now for about the last 7 years or so and it’s one of the best and cleanest carnivals I’ve ever seen, and the fireworks show at the end of the night on Saturday never disappoints. And it’s all for a great cause so thank you for all that you do and my children and I look forward to enjoying it again with you this year. When will the wristband nights be this year? Is there a rain date for the Springfield Fireworks just in case of inclement weather on June 27, 2015? Barry if you check back on this site closer to fireworks, we’ll post it here! Thanks. Can you tell me the pricing for this? Wednesday and Thursday Night are our Wristband nights! Enjoy! What is the wristband price? Thanks! what time does the carnival end? With the weather forecast for rain on Sat. will there be a rain-date for the fireworks or will they go on regardless of the weather? As per my above note have you come up with a rain date yet for the Fireworks display scheduled for tomorrow June 27. The weather predictions have all said that there will be rain throughout Saturday evening, June 27. Thank you for a prompt reply. Hi Barry, as you can imagine running a community carnival with an all volunteer force is a challenge, we appreciate your patience as we’ve had to deal with weather issues all week. To answer your question. The Board is meeting tonight (Friday 6/26). We have until 10 am tomorrow to make a decision to cancel or hold the Fireworks. We will post on the website once a determination is made. There is No Rain Date at this time. The Board is meeting tonight (Friday 6/26). We have until 10 am tomorrow to make a decision to cancel or hold the Fireworks. We will post on the website once a determination is made. There is No Rain Date at this time. What time does the carnival open today?